I am excited to share with you how God is going to take my music and ministry to new levels in the coming new year! 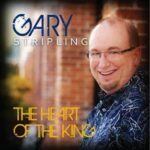 My first CD recording “The Heart of the King” included songs that I wrote during a season of worship-leading years ago. I also included songs from good friends David Baroni and my producer Nick Coetzee. We recorded these songs in Nick’s studio in Tampa, FL. It was a very intimate setting where Nick captured the essence of my personal worship of the King of kings. We released the project to digital distribution (iTunes) and did little else to promote and market the music. It was my desire to record musically what I was feeling in my heart at the time. This professionally-produced CD will encourage those in pain, those whose faith has been challenged, and most importantly will include songs that exalt and worship the Giver of Life. Music Production alone is extremely expensive, especially when you’re working with the best! I will be working with an amazing production team at Chapel Valley Studios. Chapel Valley has produced several of my clients’ CDs (thru my company The Management Agency). The quality of music they have produced is high Nashville standards at a fraction of the cost. That’s why I’m hoping you will prayerfully consider partnering with me. 1 day of pre-production with the producer listening to and selecting songs, key ranges and arrangements. 2 full days of vocal tracking – this is where I sing the songs! I am pleased to share with you that two of my songs have already been recorded by other artists! It’s exciting to write music and know that others want to share it with their audiences. My new project will be all new material I am currently working on, in addition to some music I have already written that hasn’t been produced yet. To ensure my project is done well and is of the highest quality I am embarking on some extensive fundraising. As I commit my ways unto the Lord and place my trust in Him, I rest in the truth that if God wants to use my music in this way He will provide and sustain me. Would you prayerfully consider partnering with me as I embark on this new recording project? Thanks in advance for your prayers as well as for your financial support as we embark on this new journey together. In October of 2010 the Lord impressed upon me the need to record an EP of intimate worship songs. Working with my good friend and producer, Nick Coetzee, we started working on song selection and arrangement. I really had no idea what direction the project would take. However, something inside my deepest core was telling me it had to be “heart-related.” God was preparing me for a journey. As Nick and I were praying about the recording, songs would come to us and the project began to take shape. Of the 5 songs on the EP, I knew the title of the project needed to be “The Heart of the King” – having no idea that my journey would take me where it has these past 3 years. On August 21, 2015 I had open heart surgery. My cardiovascular surgeon's hands were guided by The Great Physician as he literally put my heart back together. And most importantly, during this journey, God my Healer showed me the importance of having the heart of THE King Himself. Now that I am on the other side of a eight-year journey that brought physical, medical and spiritual challenges and healing I believe God is leading me to return to the studio to record "Songs For The Journey" that encourages those in pain, those whose faith has been challenged, and most importantly will include songs that exalt and worship the Giver of Life. Won't you join me on this celebration of the journey? I have been leading others for over 30 years as a worship leader, conference speaker, associate pastor, business administrator, road manager, consultant, office manager, and corporate development administrator. I graduated with a Bachelor of Arts degree in Journalism/English Literature in 1981 and went on to graduate school, attending The Southern Baptist Theological Seminary in Louisville, KY. I graduated in 1985 with a Master of Divinity in Christian Education/Church Business Administration (M.Div./C.E.). I have served numerous churches and ministries across the country. In 1991-92 I was the Administrator and Office Manager for LaMar Boschman Ministries and The Worship Institute located in Dallas, TX. I planned, administrated, and taught at worship training events all across the USA and Canada. After leaving Dallas for Florida, I was on staff as Minister of Music/Church Business Administrator, until taking a ministry sabbatical in 1996. In 2000 I began ministering as a worship leader for Dan Duke Ministries, leading worship each weekend at various churches around the southeast. Following a year of traveling with Dan, I accepted a staff position as Worship Leader (part-time) at a small, dynamic church in St. Augustine, FL. After building the worship team ministry there, I began filling in at various churches in the Jacksonville, FL area as weekend worship leader. Prior to founding The Management Agency in 2005, I was personal manager for Paul Wilbur (recording artist with Integrity Music) in Jacksonville, FL. For over three years I served Paul’s ministry as office administrator, road manager, and personal manager. We toured extensively in Latin America and in Africa and across the USA. As a conference speaker, I bring my years of experience in the church and business worlds to help others develop a mature understanding of their calling. Through my company, The Management Agency, I regularly consult with touring artists and bands providing career counseling and developing customized management plans that are strategically implemented to help take their ministries to new levels. I am available as a conference speaker addressing topics including leadership issues, career development, and ministry planning and development. I also work with individual churches and ministries in setting up their offices, administrative systems, and team & leadership development. Our international clientele includes artist or bands in India, Australia, Uganda, Ireland, Switzerland, Sweden, Italy, Trinidad & Tobago, The Netherlands, United Kingdom, Grand Bahamas, Barbados, as well as artists and bands all across the USA. 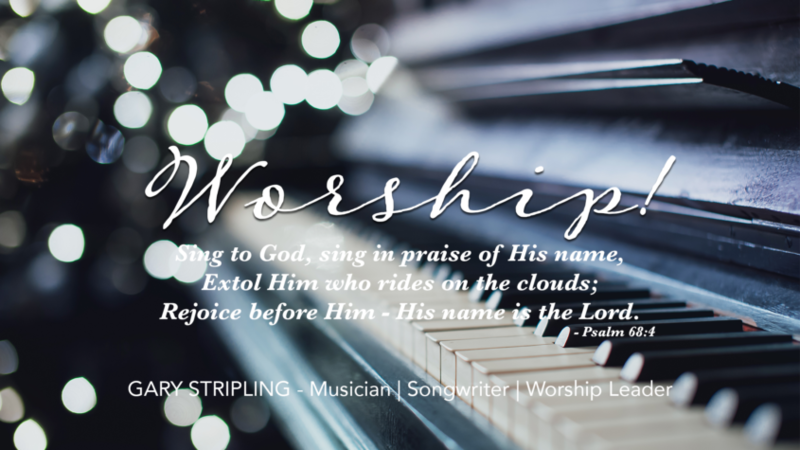 I have worked closely with some of the leading figures in the contemporary worship field including Ron Kenoly, Paul Wilbur, Alvin Slaughter, Steve Fry, Nick Coetzee, Carl & Leann Albrecht and many others. I have served as personal manager for Paul Wilbur (Integrity Music), Lynn DeShazo (Integrity Music), Bob Fitts (Maranatha & Integrity Music), Michael Gungor (co-wrote Dove nominated & ASCAP Song of the Year “Friend of God”), Meredith Andrews (now with Word Music), and many other independent artists nation-wide. Manager, Booking Agent, or Both? Internationally, I have ministered in nations including Israel, Jamaica, the Bahamas, Nigeria, Ghana West Africa, the U.K., El Salvador, Mexico, Nicaragua, Honduras, Guatemala, Costa Rica, and Canada. My specialized understanding of the music ministry coupled with formal training in church business and ministry administration provides me with the ability to help others see the Kingdom of God come in power on the earth through their own ministries! Thanks for your interest in supporting Gary's new recording. Partner with Gary Stripling in raising funds for his next studio project. Receive two (2) physical copies and a digital download of the new project at least two weeks prior to the release date. Receive one copy each of the new project and The Heart Of The King. Receive everything in Level B plus four additional copies of the new project to give to your family and friends. Receive everything in Level C plus chord charts of the songs from the new EP and fifteen copies of the new project. Receive everything in Level D plus snap chat updates from the studio, a special thank you in the liner notes listed as Production Assistant, and live home mp3 recordings of demoed songs. Receive everything in Level E plus choose a Worship Training Seminar weekend for your church's worship team, plus 50 additional copies of the new project for quests at the event (travel not included). Receive everything in Level F, plus you and one guest can join us backstage at the CD Release Concert for a "meet & greet" with Gary and his band; includes VIP Seating at the concert.